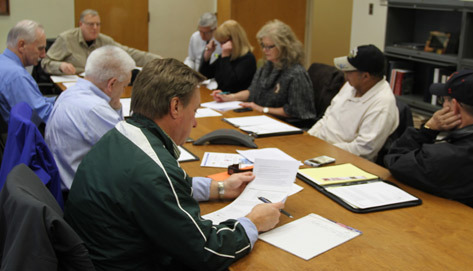 The Northwest Indiana Veterans’ Action Council is a committee that seeks both to coordinate services provided to active service members and veterans and to promote awareness of new initiatives on their behalf. The Northwest Indiana Veterans Council is comprised of community leaders, both veterans and non-veterans, dedicated to improving the lives of our active duty service members, veterans, and their families through service assistance, housing, education and jobs. As leaders of our community, we must never forget those who have given so much for our freedom!